One of the great advantages of the social media age, for writers, is having the opportunity to interact with readers. Sometimes, and usually quite unexpectedly, messages appear out of the blue that really make your day. Just because the weather has been a bit rubbish this weekend it doesn’t stop your mind going to places. @connectwithlotl is such a beautifully written book and each page has had us wanting to know more. We couldn’t recommend it enough. New books , love the smell of new books 😍 And the first book ‘Legend of The Lost ‘ is set in our county Cornwall in Porthleven and Coverack. I can’t put the book down , nearly finished and once I’ve finished my daughter is ready to read. I keep reading extracts and then quietly reading them again. Amazing book. 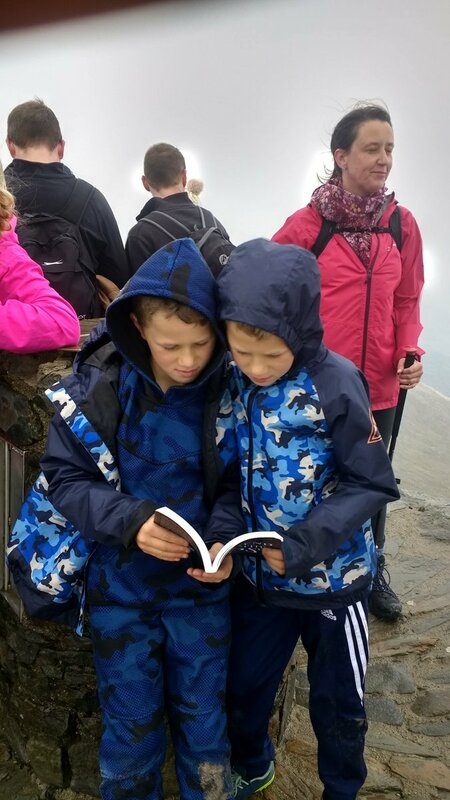 Alexander Rhodes‏@alexrhds My twins were given a school project to be photographed reading a book somewhere unusual, they both chose their new favourite, Legend of the Lost, to read on Snowdon’s Summit. “..you write with an exquisite skill and as I am reading I am visualising the characters, they seem so lifelike!